Rest in peace young brother, we'll take it from here. Thank you for your service, you will not be forgotten. God bless the family, friends, and co-workers of Officer Heidelberg during this time of tragic and senseless loss. Officer Heidelberg, thank you for your 5 years of service to Midland. My prayers go out to your family and pray that you rest in peace. I heard this quote and it suties you , BRAVERY is not the ABSENCE OF FEAR but ACTION in the FACE of FEAR. My thoughts and prayers are with you and your family. You are a Hero Officer Heidelberg. Thank you for doing your job. Rest in peace Dear Brother. God bless. "HEROES LIVE FOREVER"
Thank you for your service and sacrifice Officer Heidelberg. Prayers and thoughts for the family and fellow officers. Rest in Peace Officer Heidelberg. May the Lord grant your family, friends and co-workers peace during this difficult time. Thank you for your service and sacrifice. Thank you for always having a smile on your face, for always taking the time to talk to not only me but everyone around you. Most of all, thank you for telling me to not be stubborn and to take chances. Because of you I married a great man. You will be missed my friend. A true man, one who would work hard and who was good at his job. He will be missed and will forever be honored. I am very greatful for people like Nathen to be in our world willing to protect and serve our country and make sure that our communities are safe. Rest in piece Nathen as we know heaven has welcomed you above. Rest with God hero. Prayers for your family and department. On behalf of POINT 27, we would like to offer condolences for Officer Nathan Heidelberg. Please know we are eternally grateful for Nathan’s service and his ultimate sacrifice. To honor Officer Heidelberg, POINT 27 sent 27 Thin Blue Line Dog Tag Necklaces, engraved with “Blessed are the Peacemakers for they will be called children of God” Matthew 5:9, to the Midland, Texas Police Department for Nathan’s partner and fellow officers. POINT 27 sent Folded Flag Necklaces engraved with “Greater Love has no one than this; than to lay down one’s life for one’s friend” John 15:13 for Officer Heidelberg’s parents and three sisters. Rest in peace Officer Heidelberg and Olav Hashalom. Rest in peace . thanks for your service. 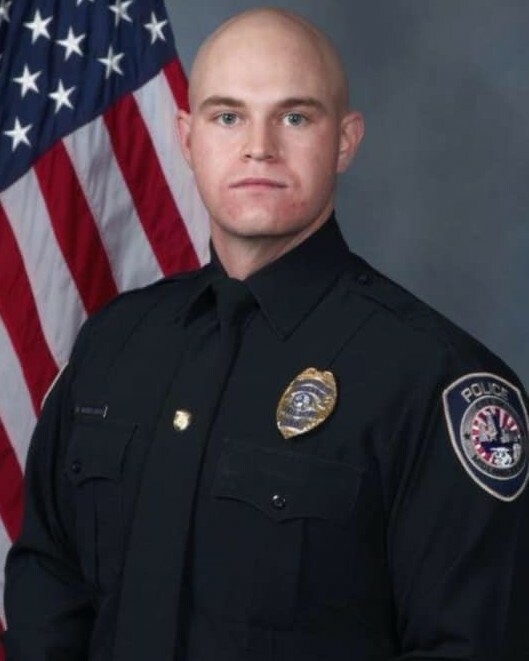 heartfelt condolences to the family (blood and blue) and friends of Officer Heidelberg. Rest in peace, Officer Heidelberg. You deserve your divine reward. Your work is done here my brother, may God bless your family during this time. God bless you and your family. You paid the ultimate sacrifice. May you rest in peace my brother in blue. Rest in Peace Officer Heidelberg. Thank you for your service. My thoughts and Prayers go out to your family, coworkers and friends.